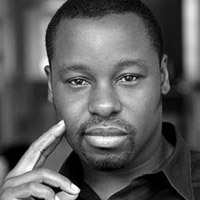 Ted Gibson is one of the most sought-after editorial, runway, and celebrity hairstylists in the business. His work has appeared in publications such as Vogue, Harper's Bazaar, Elle, Marie Claire, Vanity Fair, Cosmopolitan, Rolling Stone, and Allure and backstage at runway shows such as Chanel, Prada, and Dolce & Gabbana. Ted is perhaps most known for toiling over the tresses of top celebrities including Angelina Jolie, Amanda Bynes, Demi Moore, Renée Zellweger, Joy Bryant, Anne Hathaway, Elettra Rossellini, Claire Danes, Petra Nemcova, Keira Knightley, Gabrielle Union, Jessica Alba, Diane Sawyer, Sara Foster, Vanessa Carlton and Amerie. Considering this background, it's not surprising that Ted's incredibly successful Flatiron salon is frequented by models, actresses, fashion and beauty insiders and influential New York women who love its modern vibe and its discreet, down-to-earth flavor of chic. On top of all this, his luxurious product line offers unique, innovative products that are quickly developing a cult following, as well as being honored with industry accolades and awards. Born in Texas and raised in a military family, Ted Gibson moved from one exotic location to another, living in Germany, Hawaii, and Japan. This experience opened up a whole new world for Ted, as he learned at an early age to appreciate the beauty of different cultures. Upon returning to the Lone Star State, Ted followed his passion and pursued his dream career. An influential style maker, Ted is a regular contributor on "The Today Show" and has also appeared on "Oprah," "Queer Eye for the Straight Guy," "The Insider," "Good Morning America," "Movie and a Makeover," "Inside Edition," and "Entertainment Tonight." Today, Ted divides his time between working with clients, managing ted gibson salon and creating new products. His career as a fashion, runway, editorial and celebrity stylist continues to take him around the world where the beauty of different cultures inspires him and where exciting new projects continue to challenge and fulfill him. "When I run my hands through a woman's hair, I feel who she can be." 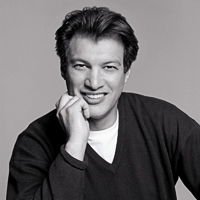 Renowned style-maker Frederic Fekkai is one of the most celebrated names in beauty and hairstyling. For more than 20 years, the world's most beautiful women and Hollywood's brightest stars have flocked to him for his unique talents and expert advice. Along the way, he has built a luxury brand synonymous with the best in hair care, and made an indelible mark on the fashion and beauty communities with his innovative styling, exclusive salons and luxurious hair and body care products. Born in Aix-en-Provence in the South of France, Frederic once considered becoming a sculptor. Instead, he turned his attention and talent towards revolutionizing the cut and shaping of hair. At 25, he landed in New York where he quickly established a reputation for his clean, modern cuts and impeccable approach to style. "I focus on the complete picture when I determine the best look for a client, taking into account individual personality, style and lifestyle," says Frederic. "Each quality should be synergistic to create a unique portrait of personal greatness. That's total beauty." In 1989, Frederic opened his landmark Frederic Fekkai Salon in New York City. Today, his New York flagship occupies a luxurious 10,000 square foot loft atop Henri Bendel in the heart of New York's famed Fifth Avenue shopping district. The salon, one of the largest in the world, offers clients a total beauty regimen, including comprehensive hair and skin care and makeup. Renowned for providing the highest quality service in the most luxurious manner, additional Fekkai Salons are now located in SoHo, Beverly Hills, West Hollywood, Dallas, Greenwich, CT and Palm Beach, with more locations to open in the coming year. The Fekkai product collection -- the ultimate in luxury hair care -- was developed by Frederic to meet the exacting standards of his A-list clientele, and to address the specific needs of different hair types. Before his products are marketed to the public, Frederic and his staff test every formula in his world-renowned Frederic Fekkai Salons to ensure the highest quality and performance. In addition to providing exceptional results, Fekkai products feature luxurious textures and refreshing, invigorating scents. A noted style authority, Frederic has been featured in leading magazines and television shows around the world, and made cameo appearances in feature films such as Zoolander and Legally Blonde II. Whether it is forecasting trends or launching a new product line, Frederic Fekkai continues to be an industry pioneer. Today, he devotes his time to product development, training his salon staff, speaking at industry forums, and lending his support to a wide range of charitable initiatives including efforts to support women, children, breast cancer research, victims of domestic violence, and the arts. He also continues to cut and style hair, principally for celebrities, fashion models and members of the press. Widely acknowledged as one of the world's leading authorities, Dr. Howard Murad has literally changed the face of skin care as we know it. He has devoted his life to making beautiful, healthy skin attainable for everyone with his internal and external approach. 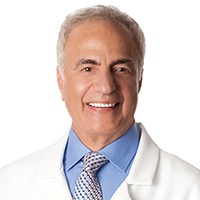 A board-certified dermatologist with a thriving practice in Los Angeles, a trained pharmacist and Associate Clinical Professor of Medicine (Dermatology) at Geffen School of Medicine, UCLA, Dr. Murad has built a patient base of more than 50,000 people. Over the years, treating such a wide variety of individuals presenting every conceivable kind of skin condition gave him direct insight into what his patients wanted and needed to care for their skin at home. Putting theory into practice, Dr. Murad developed targeted formulas to alleviate even the most frustrating skin concerns. Murad skin care's success is no accident as the results speak for themselves. Dr. Murad is author of "Wrinkle-Free Forever," which launched in bookstores across the country in April 2004. He has appeared on the NBC "Today" show, CNN, "The View," and a multitude of health and wellness programs across the world, sharing his unique Cellular Water Principle concept for overall health. In spring of 2005, Dr. Murad's second book, "The Cellulite Solution," debuted, capturing his breakthrough findings that "cellulite is a skin problem, not a fat problem." Offering a comprehensive approach, Dr. Murad introduced a topical and internal program scientifically proven to reduce appearance of cellulite by 69 percent and encourage skin firmness by up to 78 percent. Acknowledged as "the definitive brow expert," no one shapes and grooms brows like Anastasia Soare, who has achieved icon status among Hollywood's elite, and whose Beverly Hills, Calif., salon is recognized as a veritable temple to the perfectly arched eyebrow. Anastasia's expertise and enormous personal warmth have made her beloved by clients and respected by industry professionals. With her exacting eye and peerless dedication to service, Anastasia has built her reputation as a top beauty specialist by working her unique magic on the brows of a large and loyal celebrity clientele -- including: Jennifer Lopez, Renee Zellweger, Debra Messing, Oprah Winfrey, Helen Hunt, Kim Cattrall, Reese Witherspoon, Julianna Margulies, Claudia Schiffer, Naomi Campbell, Kate Capshaw, Rita Wilson, Jada Pinkett Smith, Lauren Holly, Christine Lahti, Lucy Liu, Portia De Rossi, Lara Flynn Boyle, Chloe Sevigny, Melissa Etheridge, Debi Mazar, Elle MacPherson, Jamie Lee Curtis, Garcelle Beauvais and Kirstie Alley. Anastasia has been heralded as the best eyebrow shaper in the business by such leading publications as Vogue, W, Town & Country, Elle, InStyle, Allure, Entertainment Weekly, People, Newsweek, and Los Angeles Magazine. Her renowned Beverly Hills salon has become celebrated almost as much for its welcoming ambiance as for the exceptional skill and precision of craft performed by Anastasia and her staff. Anastasia Soare grew up in Constanta, Romania, on the banks of the Black Sea. Here, her mother, Victoria Babu, owned a tailor shop. Her mother's elegant sense of style and personal aesthetic influenced Anastasia to pursue her own, related interests of drawing and design. Anastasia refined the family gift for visual artistry further by earning her degree at the Romania College of Architecture, where her talent for structure and design would some day translate into her successful career in beauty. After completing her studies, Anastasia took a sabbatical to spend time with her husband and newborn daughter. During this period, she became compelled by a new career path, and enrolled in cosmetology school to earn her license and begin work as a beautician. Soare's desire for a better life prompted the family to defect to the U.S., and within six months of her arrival in Los Angeles, Anastasia had found a job as an aesthetician, giving facials and body waxes at a small salon on Melrose Place. Her services proved so popular that within two short years, Anastasia embarked on her own, renting a small space with the Juan Juan Beauty Center in Beverly Hills. Her reputation preceding her and her client list growing daily, it was soon time to move to even larger quarters, and thus was born Anastasia's renowned salon in Beverly Hills. Demand rapidly outpaced supply and before long, women were lining up at the salon door in hopes of benefiting from Anastasia's care, expertise, and genial nature. This demand grew into 14-hour workdays, six days a week, for Anastasia and her expert staff. At times, on her one day off, Anastasia would pay special house calls to select star clientele, who would invariably remark on how polished they looked and refreshed they felt after her visit. 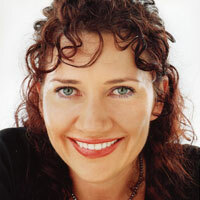 Anastasia started referring to her services as "an instant facelift," and so did her clients. Anastasia expanded her range of aesthetic artistry by creating her acclaimed cosmetic line, Anastasia Beverly Hills, which encompasses a full array of color products, including an extensive palette for the eyes. A full range of lip liners, lipsticks, foundations, powders and brow products completes the collection. This line of products reflects the glamorous days of Old Hollywood, combining luxurious makeup with high-quality service. Anastasia's exclusive collection brings women the same sense of style, elegance and expertise that has elevated her to become the leading authority on brows and beauty in the industry today. In her desire to nurture the body as superbly as she does eyes and brows, Anastasia recently launched Sia, her new line of luxury body care products. Reflecting the sumptuous quality that has become her signature, the line offers scented European candles, fine hand-milled soaps, rich emollient body lotions and a selection of deliciously fragrant body oils. Anastasia is currently preparing her complementary skincare line, to be introduced in 2008. The exceptional beauty products and incomparable personal service once found exclusively at Anastasia's famed Beverly Hills address can now be enjoyed worldwide. In the U.S., Anastasia's brand and in-store mini-salons can be found in every Sephora store, as well as in at least 60 Nordstroms. Internationally, Anastasia's brand and in-store mini-salons have been established in every Sephora store in Greece and Japan, while in Japan, her brand and in-store mini-salons can also be found in every high-end department store. Anastasia's exclusive goods and services are available in select locations in Australia, Canada and Ireland. To further enhance her worldwide outreach of extraordinary personal care, in 2008, Anastasia will open her first beauty school, The Anastasia Beauty Academy. This unique school will enable students from around the world to study aesthetics from an Eastern European perspective, and train aestheticians in the Anastasia Technique of brow shaping and body waxing. Students must complete 600 hours of rigorous instruction to become certified. While the Academy will originate in Los Angeles, it will eventually grow to become a national, then international, institution. The school will provide scholarships to students in need. Anastasia's hallmark dedication to care and personal service extends to every aspect of her life. In addition to being a devoted mother, Anastasia is also a devoted humanitarian who works closely with a variety of charitable organizations, among them the Blue Heron Foundation, which benefits Romanian orphans, and the Women's Research Cancer Fund, for which Anastasia has created a special line of brow tweezers available for purchase (full proceeds of which benefit the Fund). Anastasia believes that service and care contribute to every person's well-being, and it is this philosophy that continues to guide her. Passion drives master colorist Nelson Chan to color perfection. As a young apprentice, barely 20 years old he worked in the top salon in Beverly Hills where he mastered his coloring technique by intertwining the client's personality with hues that complemented their mood, lifestyle, or movie role. "A woman should be true to herself but her hair color can be an expression of what's going on in her life," says Chan. Chan was born and raised in Hong Kong, and immigrated to the United States as a teenager in the early '90s. He chose to study cosmetology, graduating from Citrus College in Los Angeles. Shortly afterwards, he made hair coloring his specialty, and in 1995 began a rewarding two-year apprenticeship with renowned colorist Stuart Gavert. Chan subsequently became a colorist at Gavert Atelier salon. In August 2007, he boldly founded the new Nelson J Salon in Beverly Hills, which specializes in natural haircolor and created his own natural hair straightening called "Beverly Hills Straight," which combines formaldehyde-free keratin smoothing with Japanese straightening. The salon's diverse array of services includes: cuts, color, color correction, blow outs, event styling, hair extensions, waxing, massage, makeup application, manicure & pedicure. The salon was awarded the prestigious "Best of LA" title for non-ammonia hair coloring from Los Angeles Magazine. Since coming into his own as a professional colorist and building up a solid clientele, Chan has pursued innovative techniques in his field, including pioneering "Non-Bleach Highlighting," where no bleach is used in the process. It is perfect for dry, damaged hair and prevents haircolor from fading. In terms of palette, he has created a more natural looking Soft Ombre which outshadows the traditional ombre, which sometimes appears harsh. In 2013, Chan introduced a Color Touch Up Bar at his salon, which offers quick color retouch services for women and men on the go, which require only 15 minutes of processing time versus the normal 45 minutes thanks to a new light technology from Japan, along with partial highlights services. In summer 2013, he launched Nelson j Beverly Hills, an exciting new collection of haircare and styling products, including a revolutionary non-foaming shampoo that also functions as a conditioner, detangler, color protector, shine enhancer, smoothing serum, and pre-styling lotion. The collection's key ingredients include argan, citrus and peppermint oils, and none of the products contain any artificial colors or fragrances, parabens or sulfates. Chan likes argan oil because of its ability to clean hair extremely well. Chan attributes much of his success to his study of photography, which helps him guide his clients' hair color choices when they show him pictures of how they desire to appear. Having photographed extensively, he is able to formulate colors so that they can appear to be the same as the color in print, or else he helps the client understand how both the camera and the process of reproduction may dramatically alter hair color, and thus present a color that may look totally different from how it appeared prior to being reproduced. Being a master at mixing palettes, Chan also manipulates colors so that hair appears stronger and bolder when clients appear on camera. His reach extends beyond coloring, he is a much sought after hairstylist and media expert for styling tips, hair trends, and caring for damaged hair. He also works closely with some of the top styling tool and hair color innovators in the field of hair care and color research and development. Chan has also been perfecting his hair color and styling techniques on several VIPs including Lady Gaga and Heather Graham. And, he is an innovator in his own right when it comes to healthy hair and is dedicated to ongoing research on all-natural ingredients that promote health from within the hair cuticle. Having already accomplished so much in the salon and enjoying every minute of his craft, Chan continues dividing time between the salon and his outside work on hair product development, as well as continuing to raise two young sons with his wife Ayumi Chan. It's one thing to look beautiful; what's more important is to feel beautiful. Every time native Los Angeles makeup artist Molly R. Stern sits with a client, she accomplishes both. Molly is highly recognized for her light, natural touch, her sense of style and her contagious personality. Starting her career as a makeup artist at the ripe age of 16, Molly began working for Shu Uemura whilst still in high school. She continued on with them for several years until graduation. Molly moved to San Francisco where she worked for several corporate makeup lines including Clinique, MAC, Shu Uemura and Trish McEvoy. As account coordinator for Trish McEvoy, Molly enhanced her people skills as well as trained staff in makeup application, sales and merchandising. Upon returning to Los Angeles in the summer of 1993, Molly began working as a stylist (hair and makeup), at the very chic and trendy hair salon Delux Beauty Parlor. While working at Delux, Molly quickly began to build her freelance career. Her attention to detail, acute sense of color and energetic spirit gained her unmistakable recognition with A-list celebrity clientele as well as in high-profile advertising and fashion editorial. In the winter of 1998, Molly moved to New York City to expand her freelance work and pursue other creative opportunities. With music being such a strong force in Molly's life, she taught herself to play the electric bass guitar and formed a band with client and former Hole/Smashing Pumpkins member, Melissa Auf der Maur. Their band, Hand of Doom, was a Black Sabbath tribute band that performed at various venues throughout New York, Los Angeles and Canada, and went on to record an album. 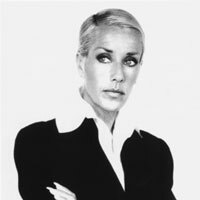 In 1999, while still maintaining a successful career in makeup artistry, Molly started her clothing line, m.r.s. Due to her strong relationship with many of Hollywood's most fashionable, much of Molly's clientele faithfully wore her designs. Her ideology behind her clothing line was based on the same principles as her approach to makeup: Every woman has natural beauty. Whether it is in her face or in her body, these qualities need only be enhanced and brought out. In July of 2003, Molly was married. Her wedding was featured in the Fall 2004 issue of Martha Stewart Weddings. In October of 2004, Molly and her husband moved back to Los Angeles where she continued her work in freelance makeup. Currently her clothing line is on a hiatus in order to focus more on her freelance makeup career and continue building her family. Molly continues her career with the same sense of work ethic, client loyalty and humor that has given her the exceptional reputation she has passionately earned. 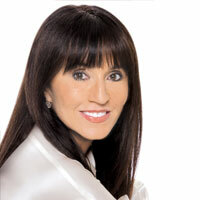 As a co-founder of CND since the company's incorporation in 1979, Jan Nordstrom Arnold has established herself as one of the professional beauty industry's most respected leaders in the fields of nail technology, style, education and marketing, as well as a recognized spokesperson and authority for the entire nail industry. Arnold's dynamism and driving spirit have played an integral part in positioning CND as the leading manufacturer of nail enhancement systems, products and services for the professional salon industry and retail products sold through professional salons. Regularly quoted in top consumer publications, such as Glamour, Elle and W, she is an editorial favorite -- adept at bringing both professionals and consumers important information on the latest nail fashion trends and the newest technology in an ever-changing industry. Through the course of teaching and making public appearances, Arnold has become one of the country's leading role models for nail artists striving for professional excellence and business acumen. Her enthusiastic approach has made her a sought-after leader, whether she's addressing the needs of distributors, imparting knowledge to nail artists or explaining the benefits of proper nail care to the press. Arnold has expanded her visionary touch to the fashion runways. Since 1998, CND has collaborated with designers such as Betsey Johnson, Badgley Mischka, Behnaz Sarafpour, Ellen Tracy, Alexander McQueen, Nicole Farhi, Givenchy and Boudicca -- making nails an essential runway accessory. Arnold was unanimously voted Person of the Year for two consecutive years, an unprecedented achievement, by the National Nail Technicians Group (NNTG) � the national trade association representing more than 5,000 nail technicians, distributors and manufacturers. Arnold is also a founding member of the Nail Manufacturers Council (NMC). CND offers a broad spectrum of more than 300 professional products based on the technology patented by the late Dr. Nordstrom, a dentist and organic chemist. Products are sold in more than 8,000 salons and 70 countries around the world. The company is now owned by The Colomer Group, the creative source for inspiring and servicing beauty professionals and consumers. Famous in Hollywood for her transformative powers and supernova energy, Olga Lorencin-Northup is more than a red carpet speed dial. As cofounder of Kinara Spa and never-ending seeker of excellence in skincare products and treatments, she is among a new generation of leaders. Independent and forward-thinking, Olga herself exemplifies that which she preaches, radiant beauty on the inside and out. Her thick glossy hair, bright eyes and flawless skin are complementary to her positive, truthful and buoyant nature. Olga was born and raised in Belgrade, Yugoslavia. Her talent for skin care manifested itself at an early age. At 12, she began using her mother as a guinea pig for her homemade masks. Throughout her teen years, she pored over magazines, books -- anything she could get her hands on related to skin care and beauty. At age 14, she began learning from one of the best aestheticians in Europe, Katarina Mijalkovski. Katarina showed young Olga her special facial techniques, providing the basis for what would be a lifetime of study. While Olga studied political science at school through her late teens, her passion for skin care continued, inspiring her to take summer courses in chemistry and skin analysis. When she was 19, she had an opportunity to move to Los Angeles, and six months later, she enrolled in an aesthetician school there. While most of her classmates would be lucky to find any work, a top salon at the time, Aida Grey, recognized her special ability and hired her immediately upon graduation -- quite an astounding feat. That gamble paid off. Within two years, Olga was one of their top producers. She was 22. Six years later, there was a new "hot" salon over on Sunset Plaza, Ole Henriksen. Ole wanted the best aestheticians, and so he went after Olga to jump ship. Ole knew Olga could be his top earner � and she was. People waited months to book a session with Olga. It was the beginning of the buzz. People in the know wanted the best; they wanted Olga. And she made them look great. As Tinseltown was discovering a starlet in Olga, the beauty editors also began to take notice. They knew she had the answers to the questions their readers wanted to ask most. She had the secret to keeping people beautiful. For the next 12 years, while she built a reputation second to none, she also used that time to study and learn. Every day was a school day. Which ingredients did what to the skin? How did this client's skin react to a regimen one time? Six times? Over a year? She amassed a huge amount of hands-on knowledge and experience. But there was only so much she could do working for someone else. She had to venture out on her own. So in 2000 when one of her most successful clients, Christine Splichal, said she was ready for a new venture, Olga knew it was the perfect match. They partnered to create Kinara Spa with the vision of building the absolute highest quality skincare clinic and spa -- a standard higher than any other. While it was clear to both Olga and Christine the market needed a spa like Kinara, Olga also knew it needed skincare products that met those same exacting standards. Olga's years of research, knowledge and hands-on experience have culminated in the development of the Kinara skin care line. These products astound jaded beauty editors and have become standard issue for Hollywood's A-list. Some stars have even included them as part of their contracts with the studios! Olga's mission now is to spread the word about her products so everyone can enjoy the amazing benefits once only known to her celebrity clientele. Robin Coe-Hutshing showed an affinity for the world of fragrance and cosmetics early in childhood. While others played house, she played chemist gathering and pressing local flora into fragrant concoctions and mud baths while regularly plundering and sabotaging her mother's pristine vanity. After attending Reed College and the Fashion Institute of Technology she began her career as a Buyer at Bergdorf Goodman in New York. Robin moved to California to work in Visual Merchandising for Macy's West. A chance meeting with retail innovator Fred Segal presented the fortuitous opportunity to lease counter space within Fred Segal Santa Monica. Literally overnight, she presented a plan for an innovative fragrance and cosmetics store. She opened STUDIO in November 1984. Today, STUDIO has grown from that original counter to a more-than-4,000-square-feet emporium of beauty products from all over the world. It has served as the launching pad for many of today's most successful beauty companies and the original model for an open sell, multi-brand global apothecary. 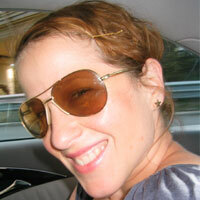 As creative director, Robin spends much of her time researching new products and formulations. Using STUDIO at Fred Segal as a laboratory for forecasting climate and direction of the market, Robin serves as a keynote speaker, panelist and product development consultant to a variety of businesses and publications. In 2003, Robin was honored and recognized by her peers and the industry at large when she received the Achiever Award presented by Cosmetic Executive Women. Robin's ongoing fascination with fragrance and products has been instrumental in the creation of her own brand, BURN, a prestige fragrance range for home and body with worldwide distribution, the development of Stila Cosmetics's successful array of fragrances, and the recent creation of a soon-to-launch fragrance and personal care range in partnership with Victoria's Secret Beauty -- Exotic Nectars. Currently she is at work developing a variety of new products and brands, including an eponymous line for KIT Australia boutiques and her most ambitious project to date -- Memoire Liquide Bespoke Perfumery, which will debut in STUDIO at Fred Segal and Henri Bendel's NY. Robin lives in Pacific Palisades, Calif., with her husband, Joe, a multi-Oscar winning feature film editor and their frequently shampooed standard poodle, Billie.